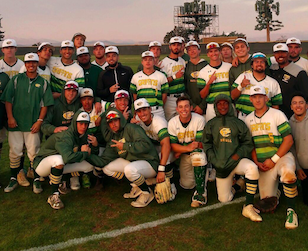 EL CAJON (1-31-2019) – To state it similar in style on the old game show “To Tell The Truth,” will the real Grossmont College baseball team please stand up. The Griffins were state champions in 2017 but floundered to a less-than-expected 22-18 mark last spring. Sure, the team is off to a 2-0 start, including Wednesday’s (Jan. 30) victory over West Los Angeles, both opponents are winless. Thus, it may be hard to determine the strength of the Griffins. But for now, they’re enjoying their victories. 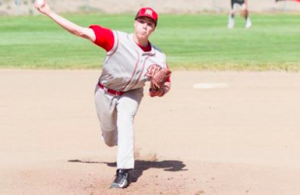 Grossmont 9, West L.A. 2: Griffins starting pitcher Anders Tolhurst struck out 6 batters in his 5 innings, then was backed by a 5-run outburst in the third inning to stop the winless Wildcats (0-3). Noah Quintana (West Hills) followed Tolhurst with two frames of shutout relief, helping raise Grossmont’s record to 2-0. The 5-run outburst in the third started on a line drive sacrifice fly by first baseman Trevor Hazelhurst, Later, left fielder Terrence Simmons doubled to the fence in left-center to score two more runs. For the contest, left fielder Terrence Simmons and third baseman Joshua Verdon also produced two RBI each. Grossmont 8, Victor Valley 4: At Victorville, the Griffins captured their season opener on the road by doubling-up the Rams, as the offense scored on five of their first six trips to the plate, then the bullpen closed with 5 1/3 of shutout relief on Saturday (Jan. 26). Trailing 4-3, Grossmont scored twice in the 5th, then three more in the sixth to support winning pitcher Bailey Roberson, who went six innings. Included was a solo homer by Trevor Hazelhurst. Meanwhile, Tyler Lowrey went 2-for-5 and knocked in two runs. 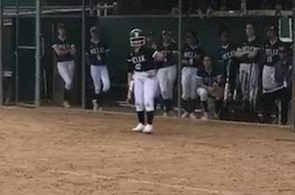 El Camino 4, San Diego Mesa 2: At Kearny Mesa, the visiting Warriors mounted a 4-0 lead while their pitching staff allowed the Olympians just three base hits. Included were three no-hit innings of closer Spencer Long, who retired all nine batters he faced to log his second save of the season. Mesa’s lone runs came in the fifth on a 2-run single by third baseman Isidro Velez. The only other hits for the Olympians were recorded by right fielder Dominick Buso. 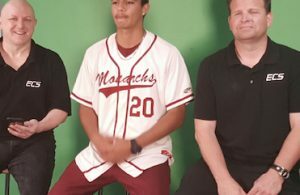 Palomar 7, Saddleback 4: At Mission Viejo, the unbeaten Comets (3-0) scored twice in both the eighth and ninth innings to shock the host Gauchos (3-2) in non-conference action among a pair of undefeated ballclubs. in the eighth, outfielders Cameron Rowles (center) and Mitchell Moralez (right) smacked consecutive RBI doubles to forge the lead. An inning later, left fielder Noah Hemphill singled to center for an RBI, then catcher Hayden Hastings lifted a sacrifice fly to left for the insurance markers, as three Saddleback relievers were tagged. 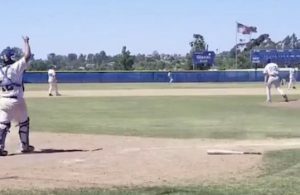 Pasadena 13, San Diego Mesa 3: At Kearny Mesa, the Lancers (where Jackie Robinson played ball before transferring to UCLA) rockets the Mesa bullpen for nine runs in a one-sided affair. For Pasadena (2-0), center fielder Gabriel Arellano bated 2-for-5 with 3 RBI for the lead-off spot, while first baseman Vic Zepeda also drove home three runs. For the Olympians (1-2), third baseman Isidro Velez doubled home a run, then scored on wild pitch to tie the game at 2-all in the first. They would not score again until the ninth on a base hit by right fielder Dominick Buso. L.A. Valley 7, Imperial Valley 3, At Imperial, the center of the Arabs batting order is solid, as third baseman Robert Brodell, first baseman, Manuel Rojas and right fielder Andy Carrillo each posted two base hits and an RBI, but the rest of the batting card mustered just two other hits in falling to the visiting Monarchs of Van Nuys on non-conference action. Brodell was also the starting pitcher, but a hard-luck loser after allowing two runs in three innings without yielding a base hit. Orange Coast 8, Southwestern 1: At Costa Mesa, Pirates starting pitcher Ben Davis allowed just two hits over four innings, but gained the victory when the bullpen fired five frames of no-hit ball to subdue the Jaguars. The lone run for Southwestern (1-3) came without the aid of a base hit in the fifth, when reserve right fielder Joey Witkowski grounded out on a fiekder’s choice grounder to second base, but hustled down the line and was safe at first to avoid th double play and allow Octavo Sanchez to score.